How do gender and identity affect negotiations? It’s an important question. And sometimes we ignore these types of questions because because they have the potential to be controversial and inflammatory. But we shouldn’t ignore these questions just because they’re complicated, or controversial, or inflammatory. Only by asking these questions can we begin to understand each other better. Therefore we MUST ask these questions. 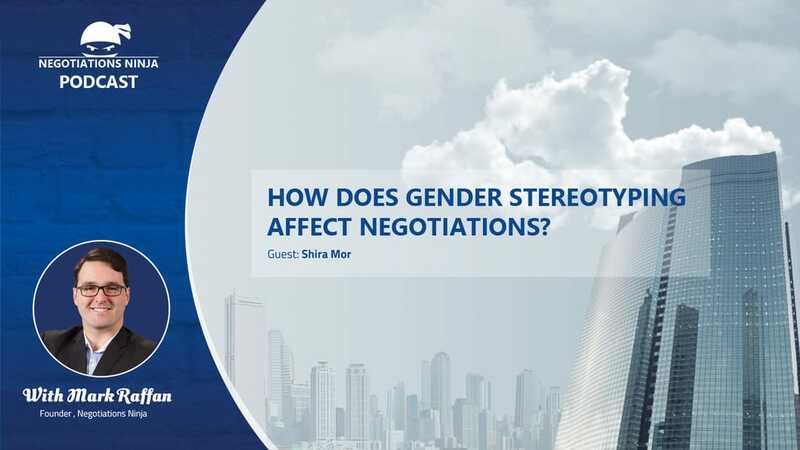 Dr. Shira Mor explains gender stereotyping in negotiations and talks about how those roles limit and enhance some negotiations. This is the 7th of 7 interviews that I did live in the speaker’s room at WIN Summit.